Professional dental care is important at every stage of life. That’s why children’s dentistry is an important part of Dr. Blaine McLaughlin’s practice. Dr. McLaughlin recommends bringing in children for their first visit as soon as teeth start to break through. These early visits allow Dr. McLaughlin to check for proper development of the jaw and teeth, and to provide services that ensure baby teeth remain healthy and strong. They also allow us to provide parents with information on proper care of children’s teeth, helping you work with your child to ensure optimal home care. As your child ages and depending on his or her specific needs, Dr. McLaughlin may also suggest tooth decay treatment, orthodontics, and other individual solutions. These solutions will always be discussed with you in great detail prior to any decisions being made. We believe parents and children should work together to maintain dental hygiene and will provide age-appropriate education to empower all involved parties in maintaining peak dental health. 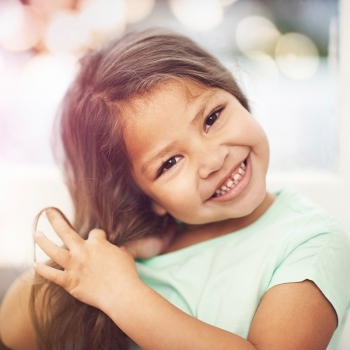 Not only is children’s dentistry important for helping your child obtain and maintain a healthy smile, it is essential for helping your child develop a healthy relationship with professional dental care. Dental phobia often begins early in life and, unless a child is shown how safe, comfortable, and rewarding dental care can be, he or she may avoid care as they grow older. We take great care to make you and your children feel comfortable and confident in every treatment we perform. We welcome an opportunity to meet with you to discuss your family’s needs, our services, and how we can help each member of your household reach their dental goals. If you are looking for a children’s dentist in Cedar Rapids-Marion, Iowa, call family dentist Dr. Blaine McLaughlin at 319-373-5082 to schedule a consultation today.